Fine Art Shippers is a New York local shipping company providing art logistics services all over the metropolitan area. We offer professional art handling, art moving, art installation, art packing and crating, art storage, white glove art delivery, and a whole range of other art-related services you may expect from a reputable local shipping company. Working in New York is like nowhere else. This beautiful city is full of art, artists, and galleries, not to mention so many amazing museums that are rightfully considered the best in the world. For example, have you ever been to the Queens Museum? If not, you should do it at your earliest opportunity! 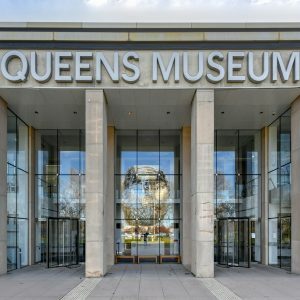 The Queens Museum is an art museum and educational center combined in one. Founded in 1972, it is located in Flushing Meadows – Corona Park, Queens in the historic New York City Building that was designed by Aymar Embury II for the 1939 World’s Fair. The Queens Museum is largely known for the large-scale three-dimensional model of NYC five boroughs, The Panorama of the City of New York, which has long been the jewel in the crown of the museum’s collection. Besides, it features an outstanding selection of Tiffany glass, which includes valuable lamps, windows, and other related objects. Overall, the Queens Museum’s collection of visual arts is really impressive. The same applies to the museum’s educational experiences and public programs available to all visitors. Highly recommended by Fine Art Shippers, your trusted NYC local shipping company!